Global custom engineered thermoplastics compounder RTP Company announced it has opened a technical center in Shenzhen, China. The facility will focus on providing technical support and color functions along with production of select products that are critical in meeting the rapid product development cycle demands of global OEMs and product designers in southern China and Hong Kong. “RTP Company is committed to having our engineers, whose technical expertise our customers regularly call upon during their product development, available on a regional basis around the world,” said Hugh Miller, President and CEO of RTP Company. The 2,400 m2 (25,800 sq. ft.) Shenzhen Technical Center will house full-service color development and material evaluation laboratories to facilitate rapid product development. It will also serve as a regional hub for RTP Company’s product development engineers, technical service engineers, and CAE analysts. In addition to on-site engineers and labs, a key asset is the technical center’s ability to produce custom engineered compounds along with color and additive masterbatches. “Our new Shenzhen Technical Center will enable RTP Company to have short lead times for engineered samples and custom color matches, allowing our customers to bring their products to market faster,” said Johnson Goh, Shenzhen Technical Center Operations Manager. 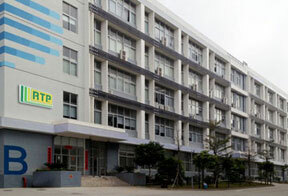 The Shenzhen Technical Center is RTP Company’s second facility in China and third in Asia. The addition brings the company’s worldwide network of production facilities to a dozen. Other locations in Asia include Suzhou, China and Singapore. For more information, contact RTP Company at 507-454-6900 or 800-433-4787, or e-mail rtp@rtpcompany.com. SHENZHEN, CHINA — Global custom engineered thermoplastics compounder RTP Company inaugurated its new Shenzhen Technical Center on 16 April with a grand opening celebration for invited guests that included local customers and suppliers along with company dignitaries from the United States. 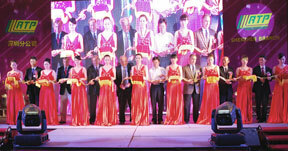 The day was highlighted by a performance featuring acclaimed Chinese violinist Qian Zhou. The day’s events started with a condensed Imagineering Plastics Workshop program during which RTP Company’s engineers and materials experts delivered technical presentations covering the firm’s broad portfolio of custom engineered thermoplastic solutions. Workshops are regular events the company hosts around the world that allow designers and engineers to meet “engineer-to-engineer” with RTP Company’s experts and discuss first-hand the latest innovations in plastic materials. 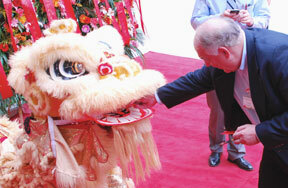 Afternoon tours of the Shenzhen Technical Center were offered for guests to view the state-of-the-art facility. In addition to being a regional base of operations for RTP Company’s R&D engineers, technical service experts, and colorists that makes them easily accessible by customers, the technical center features complete laboratories for color development and quality assurance testing. The facility can also produce samples and select engineered compounds and masterbatches to ensure fast product development for customers in southern China, Hong Kong, and throughout Asia. An evening dinner program was preceded by a classical music recital featuring celebrated Chinese violinist Qian Zhou and pianist Ned Kirk from St. Mary’s University of Minnesota. The pair dazzled the audience with renditions of Ludwig van Beethoven’s sonatas 7 and 14 and additional pieces by Ernest Chausson and Pablo de Sarasate. RTP Company’s Shenzhen Technical Center is located at Blk B Level 1 Digital Silicon Valley, 89 Hengping Road Henggang Street, Longgang District, Shenzhen 518115, China. Telephone +86 755 899 52588 or email rtp@rtpcompany.cn.